You’ve been overpaying your taxes all year long, saving money in your IRS ‘refund account’ with the expectation that you will get that big fat juicy refund early next year. You get some software and prepare your own return or hire a tax preparer exclaiming big money is waiting for you. That vacation is just around the corner. You can almost taste the salty air off your hotel room in Maui. You rush to file online and instead of dumping your refund into your bank account, you get a message that says a return has already been filed for you. WHAT?! No refund?! No way! Something is wrong, really wrong. It begins to sink in. There’s another return already filed? It has my name, my SSN, a big refund? Ah crap! Before you go on your vacation you’re going to have to sort through a major identity theft problem with the IRS. The past few years have seen an astonishing rise in fraudulent returns being filed by identity thieves. 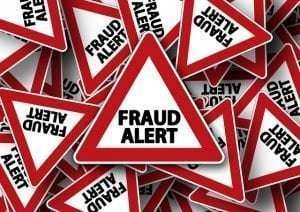 Rotten scoundrels are filing fraudulent tax returns using your name and social security number in order to claim a refund. The victim taxpayer has not filed his return yet, and the IRS policy is to issue refunds quickly. The IRS will issue the refund to the bank account or address on the return. The scoundrel receives a refund–not your refund, just a fraudulent refund. The one backstop the IRS employs to stop fraudulent returns is that they won’t allow a second return to be filed. This backstop is for the second return, not the identity thief’s first return. So, when you go to file your return, you will get a letter from the IRS that a return has already been filed or you will be blocked from filing electronically. The bottom line is you won’t get your refund for a long time. So who is the victim here? Of course, you are because someone stole your identity and you have to spend your time and energy getting it sorted out. Meanwhile, you don’t get your refund, whatever that should have been. The IRS/Department of Treasury is also a victim because they just handed out a refund to someone that was not entitled and they still owe you a refund. But really, America is the victim; over $5.2 billion in refunds are issued to 1.5 million false returns per year (Treasury Inspector General for Tax Administration, July 19, 2012 Reference Number: 2012-42-080). This report did not indicate how much, if any, has been recovered from the thieves. The IRS is just handing our tax dollars over to a bunch of thieves who aren’t even elected! What can you do to protect yourself? Though it is wise to be careful when giving out your social security number, you really have no control over your information being stolen from a database you thought was secure. There is little you can do. In order to really prevent this, the IRS will have to change the process for issuing refunds. When it comes to getting the refund to which you are entitled, one very good thing the IRS does is issue refunds quickly. However, the quick turnaround means that scammers get the refunds before the IRS can verify that all employment information and deductions belong to the rightful taxpayer. If you file your return before an attempted fraudulent return, your refund will not be delayed and the identity thief will get the letter that a return has already been filed. Therefore, you can file early so that if someone does attempt to file a return on top of yours, it will not go through. You could adjust your withholding if overpayment during the year is resulting in the refund. This is generally advisable, as you are otherwise effectively giving the IRS an interest-free loan. Note, however, that low income taxpayers relying on tax credits and earned income credit for a refund can’t make this adjustment. In any case, you cannot stop an identity thief from filing a fraudulent return. You just have to deal with it until the IRS makes it impossible for thieves to profit from its refund process. If you suspect you might be a victim of this type of identity theft, you should review the IRS’ tips for handling it. Go to: http://www.irs.gov/uac/Taxpayer-Guide-to-Identity-Theft. Remember that the IRS does not call you or email you to let you know that you are a victim of identity theft. What might happen is you will get a letter that states more than one tax return was filed using your SSN or there were wages reported for you that you are not aware of. These letters may come months after you file your return. Of course, by then it is too late to stop a thief, but at least the IRS is letting you know something is amiss. The next step is to contact the IRS directly at 1-877-438-4338. I recently tried to call this hotline to see what the wait time is to reach a live person. Unfortunately, the message told me the wait time is too long and to call back later. As identity theft pertains to IRS Collections, before getting a payment arrangement, all returns have to be filed and an accurate liability assessed. 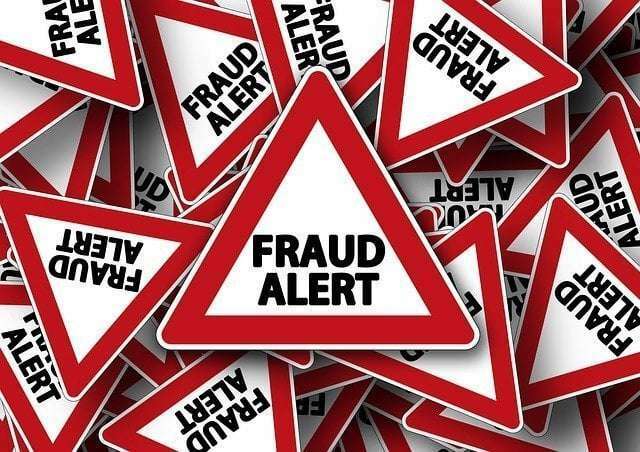 Some of my clients have not filed all their returns and recent years had been fraudulently filed by identity thieves. My clients still did not know that they were the victims of identity theft until I told them about it. My clients told me they had not filed their returns for the last couple years, so it was surprising to see a return filed. This was the first obvious tip there was a problem. Identity theft delays the collection process because the actual balance is not certain until the actual returns are accepted and accounted for. For the cases that I have been involved in, I was able to convince the IRS to put collections on hold until the correct returns were filed and accepted. This will delay approval of a resolution of the unpaid tax liability by six to twelve months. The above IRS website will guide you through the process of reporting an identity theft case to the IRS. Basically, you will have to prove you are who you claim to be on your tax return. A qualified tax resolution professional can guide you through the process of getting your actual returns accepted, making sure collections is put on hold, and then finalizing a resolution later on. The problems for identity theft victims may extend beyond just the IRS, so it is prudent for you to file a police report and call one of the three credit bureaus to place a fraud report on your credit records. Hopefully, you will never be the victim of this type of identity theft (or any other type, for that matter). If you do have the misfortune of being victimized by this particular scam, take actions to protect your credit and call the IRS to start the process for getting your real returns accepted. For a more in depth article about where America’s ‘Billions’ are going, I recommend Janet Novack’s article for Forbes: http://www.forbes.com/sites/janetnovack/2013/01/29/irs-tips-wont-protect-you-from-identity-theft-tax-fraud/. If your inquiring mind wants further information on this topic, you can also read the 2012 report “There are Billions of Dollars in Undetected Tax Refund Fraud Resulting From Identity Theft” from the Treasury Inspector General at http://www.treasury.gov/tigta/auditreports/2012reports/201242080fr.pdf.